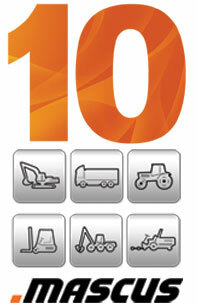 Mascus, the world’s leading online marketplace for construction machinery, transportation vehicles, material handling, agricultural and forestry equipment, is 10 years old this year. Established in Finland in 2001, Mascus is now in 39 countries, in 38 languages and with 46 domains. With over 2 million unique users every month (and growing) and more than 170,000 adverts online, Mascus is a global phenomenon, growing steadily during the recession and continuing to expand its international reach. Mascus opened its first overseas offices in UK, Poland and Sweden in 2004, and signed its first licensing agreement in Norway the same year. Mascus is now present in 39 countries including USA, Australia, South Africa and countries throughout Europe with key licensing deals already in place for Turkey and China and further expansion into Brazil, Russia, India, Mexico and Middle East planned during 2011. The other side of Mascus’ success is their ongoing development of technology and services. Since launching Mascus have changed their platform twice, including a major relaunch in October 2010, which added innovative search functionality. Mascus have also innovated by creating a rich product portfolio, including the Mascus Locator, a heavy industry trade directory covering everything from maintenance and spare parts to financing and legal. Launched in 2008, the Locator now has over 25,000 listings. Mascus also provide web services including integration with dealer’s websites, technical support, web pages and tools for managing stock online.